The World Chess Championship 2010 match pitted the defending world champion, Viswanathan Anand, against challenger Veselin Topalov, for the title of World Chess Champion. The match took place in Sofia, Bulgaria from 24 April to 13 May 2010, with a prize fund of 2 million euros (60% to the winner). Anand won the final game to win the match 6½–5½ and retain the title. The match was to be twelve games, with tie-breaks if necessary, the same format and length as the 2006 and 2008 matches. In early 2006, FIDE announced that the World Chess Championship 2007 for the title of FIDE World Chess Champion would be an eight-player tournament. At the time there were two rival World Champions, 2005 FIDE World Champion Veselin Topalov, and "Classical" World Champion Vladimir Kramnik. The list of the eight players for the tournament included Topalov, but not Kramnik. To unify the two World Champion titles, FIDE later organised a match between Kramnik and Topalov (the World Chess Championship 2006). Kramnik was to take Topalov's place in the World Chess Championship 2007 if he won the match, which he did. Topalov was hence excluded from the 2007 World Chess Championship, a tournament eventually won by Indian GM Viswanathan Anand to become the World Champion. Anand subsequently defended his title in a one-off match against Kramnik, the World Chess Championship 2008. The World Chess Championship format then returned to its original form, wherein a match between the current champion and a challenger would decide the World Champion. To choose the challenger, FIDE organized the Chess World Cup 2007. Topalov was compensated for missing the 2007 tournament by getting direct entry to a Challenger Match against the winner of the Chess World Cup. The winner of the Challenger Match would then be the official challenger to Anand. Gata Kamsky earned the right to play in the Challenger Match by winning the Chess World Cup 2007. The Challenger Match was an eight-game match between Topalov and Kamsky. It was played in Sofia, Bulgaria, between 16 and 28 February 2009. After Kamsky won the World Cup, there was ongoing uncertainty about the location for the Challenger match. Topalov preferred his home country of Bulgaria, while Kamsky wanted to play in a neutral country, and his manager organised a bid from Lviv, Ukraine. FIDE awarded the match to Bulgaria in February 2008, to Ukraine in June 2008, then back to Bulgaria in November 2008 because of problems with finances from Ukraine. Kamsky got a new manager, and met with FIDE and Topalov representatives during the Chess Olympiad, and on 19 November 2008, FIDE announced that the players had agreed to play in Bulgaria, despite Kamsky's preference to play elsewhere. The match was originally scheduled for November 2008, but the late change to Bulgaria forced the match to be rescheduled for 16–28 February 2009. On 26 February 2009, Topalov defeated Kamsky in game 7 to win the match 4½–2½, earning the right to challenge Anand for the World Chess Championship. The championship match was moved from September 2009 to April 2010 after Anand requested a postponement. The match format was the best of 12 games. Players scored one point for a win and half a point for a draw. The match ended once either player scored 6½ points. Time control was 120 minutes, with 60 minutes added after move 40, 15 minutes added after move 60, and 30 additional seconds per move starting from move 61. The match regulations specify a series of tie breaks. If the score is tied after 12 games, colors will be drawn and four rapid games will be played. The time control for these games will be 25 minutes plus 10 seconds per move. If the score is tied after the four rapid tie break games, colors will be drawn and two blitz games (5 minutes plus 10 seconds increment per move) will be played. If the score is tied after two blitz games, another two-game blitz match will be played, under the same terms. The process will repeat, if necessary, until five blitz matches have been played. If the score is tied after ten blitz games, a single sudden-death "Armageddon game" will determine the champion. The winner of a drawing of lots gets to choose the colour to play, with White given 5 minutes and Black 4 minutes. Beginning with move 61, a three-second increment will be added following each move. If the game is drawn then the player with the Black pieces is declared champion. Topalov demanded that the match be played in silence, which would occur if the players followed the Sofia Rules, which were introduced to curb draw offers in some tournaments from 2005. Anand replied that he would not comply, prompting Silvio Danailov, Topalov's manager, to say "If Vishy doesn't agree to the rules he will be forced to, because Topalov will not offer him a draw and he will not speak to him." Anand had the same group of seconds who helped his preparation in World Chess Championship 2008: Peter Heine Nielsen, Rustam Kasimdzhanov, Surya Ganguly and Radosław Wojtaszek. In a post-match interview Anand mentioned that Magnus Carlsen and Garry Kasparov had also helped him in preparation and that Vladimir Kramnik helped during the match. Topalov's seconds were Jan Smeets, Erwin l'Ami, Ivan Cheparinov and Jiri Dufek. For preparation, Topalov also used a state-owned IBM Blue Gene/P supercomputer with 8192 processors, running the latest version of Rybka. The start of the match was delayed one day due to air travel disruptions caused by the volcanic ash emissions from Eyjafjallajökull. Anand was to fly from Frankfurt to Sofia on 16 April and was stranded because of the eruption. He asked for a three-day postponement, which was refused by the organisers on 19 April. Anand finally reached Sofia on 20 April, after a 40-hour road journey. The first game was consequently delayed by one day. All games started at 3.00 pm EEST (UTC+3), except Game 1, which began at 5.00 pm EEST. Former FIDE World Chess Champion Alexander Khalifman, who analysed the 2010 Anand–Topalov World Championship match for the Russian chess magazine 64, stated in a subsequent interview that "The chess was very good, and in sporting terms it was always a heated struggle with no short draws. While the result was fair. Despite the fact that Topalov had prepared superbly, it has to be admitted that in terms of talent he is still inferior to Anand. And even the age difference didn’t tell. Anand is a genius. He emanates light." Game 1: Anand played 23... Kf7?, allowing Topalov to sacrifice a knight with 24. Nxf6! !, resulting in Anand's resignation seven moves later. Anand admitted he forgot his preparation (23...Bd7 prior to Kf7) while considering his 23rd move, leading to his blunder 23...Kf7? Game 2: Topalov played 25... Ne3? in this equal position, giving Anand the advantage which he converted into a win. The move 16...Nc5 removing White's blockading knight was much better for Topalov, with Black doing well after 17. Nd6 b6. Anand noted that Black started to lose his grip on the position after 25...Ne3? A draw by threefold repetition. 14...Rg8! Black plans Bd6, Ke7, f6, Rgc8, Bg8, etc. White actually has to hurry up and do something against it, which is not easy, since his knight on c3 is misplaced. 20. b4! Topalov actives quickly before Black manages to get all his pieces into play. 32...Bb5! Anand manages to neutralize his only weakness, the pawn on a6. There was no handshake at the end of the third game. At the press conference both players admitted that they simply forgot to shake hands. Game 4: Having already sacrificed two pieces, Anand played 26. exf6!, continuing a mating attack that started with 23. Nxh6+!. 10. Na3! is a strong novelty, developing without winning back the pawn. In order to protect the pawn, Black is forced to place his pieces in awkward positions. The day before the fourth game, the 10.Na3! novelty was independently found by Levon Aronian, who was at that time carrying out a training camp in Armenia. Anand won "Yearbook Novelty Award of 2010" for this move. With 15. d5! Anand is finally ready and starts his breakthrough attack. 21...Qa7? A decisive mistake. Now the queen is saved, but the king is not. 21...Qg5! was already the only way to stay in the game. Anand quickly found the proper reply with 22. Ng4! starting the final attack on Black's king. Anand repeated the Slav line with which he defended in game three. He deviated with 15...h5 to avoid having his light-squared bishop boxed in. The event suffered a power outage for thirteen minutes while Anand contemplated his 17th move; the organizers later apologized for this mishap, which was caused by an electrical system failure in central Sofia. 22. Nd7 Anand begins the longest string of knight moves ever seen in a World Championship match. With 39...Bh3! Topalov successfully neutralizes all of Anand's winning chances. Game 7: Topalov allowed Anand to play 16. exd5, getting enormous pressure on the queenside in exchange for the sacrificed knight. 11...Bd7 is a novelty, as in Gelfand-Ivanchuk, Amber (blindfold) 2010, Ivanchuk had played 11...Ba6. At move 21. Kh1 Anand finally managed to push Topalov out of his prepared line, having spent over an hour on his clock compared to Topalov having spent only 3 minutes. Game 8: Anand should have protected his h7 pawn with his bishop. His actual 54... Bc6?? was a blunder that lost him the game. Black's 54...Bc6?? was a blunder that removed the possibility of Black protecting the h7 pawn with his bishop. The move 54...Bd3 would have been an easy draw. Though the game appeared to finish early, it might have concluded: 56.g4 Bd7 57.g5 Be8 58.Bg7 Bd7 59.g6 hxg6 60.Kxg6 and Black is helpless to prevent White from penetrating, for example: 60...Be8+ 61.Kf6 Bd7 62.Ke7 Bc6 63.d7 Bxd7 64.Kxd7 Kxg7 65.Kxe6 1–0. Game 9: Topalov's king is in trouble, but Anand, who had already missed an earlier win over 20 moves ago, let him off the hook with 64. Kg3?, allowing Topalov a perpetual. A draw by threefold repetition (with perpetual check). Anand moved 40. Rh8+?, hoping to repeat moves in order to make time control. However, this a mistake that lets the Black king escape. It was better to play 40. Re4 b4 41. Rxa7 b3 42. Rb7 b2 43. Kh2 Qc1 44. Ra4 Nd7 45. Rab4. Anand missed a chance to win when he played 64. Kg3?. A winning move was 64. Rdd7 a3 65. Kg3 Qa1 (65...b2 66. Rc7+ Kd8 67. Ra7 Qd5 68. Ra8+ Qxa8 69. Rg8+ Kd7 70. Rxa8) 66. Rc7+ Kb8 67. Rb7+ Ka8 68. Nxb3. Game 10: Anand played 25... Nd4?! to avoid unnecessary complications, but this move was a mistake which handed Topalov the initiative. Anand later equalized and the game was drawn. A draw by mutual agreement. To avoid unnecessary complications, Anand played 25...Nd4?! but the best chance was in 25...Bxa6 likely followed by 26.Qxc6 Qa1+ 27.Kf2 Qxa2+ 28.Kg3 Qa3! 29.Qa8+ Qf8 30.Qxa7 Be5+ 31.Kh4 Qf1 32.g3 Bc8 33.g4 Bf6+ 34.Nxf6+ Qxf6+=. Anand subsequently equalised the game with 45...Nc4! It was likely that Topalov missed this move. Game 11: In his last White game, Anand played 61.Rc3 setting a trap (if Topalov now played 61...b2?? trying to force his b-pawn to promotion, Anand can threaten a mate with 62.Rxc5! ); but Topalov did not fall into it, and the game was drawn five moves later. A draw by perpetual check. With 15...Nde7! Black regroups. The d5 square is now open for the bishop and White's bishop pair is not important yet. 46. g4?! Nd6?! White weakens his kingside in an attempt to gain activity and Topalov misses the best reply in 46...Ne7! winning a pawn. In the final moves of the game 60...b3! 61.Rc3 Rd4! Anand makes a last attempt to win, setting a trap if Topalov attempts to push his b-pawn to promotion (61...b2?? 62.Rxc5! b1=Q?? 63.Ne6+ Kg8 [or Kh8] 64.Rc8+ Rd8 65.Rxd8#) but Topalov did not blunder into it. The position after move 11 had only been played once before. Prior to the game, Topalov asked for one minute of silence in memory of Andor Lilienthal, who had died the day before. Game 12: In this position, Topalov resigned, allowing Anand to win the match and retain the championship. This was the only win for Black in the match. Anand's choice of Lasker's Defense in the Queen's Gambit Declined appeared to signal his willingness to accept a draw, which would have tied the match at 6–6 and forced a rapid chess playoff. Most people believed that such a playoff would have greatly favoured Anand, due to his superior rapid chess resume, and Topalov in the postgame press conference noted his desire to avoid a rapid playoff, given his loss in the World Chess Championship 2006 playoff to Vladimir Kramnik. Consequently, Topalov chose to play for complications, but Anand's 16...Nf6!? allowed Anand active piece play in return for his weak pawn on c5. After Topalov responded to 30...f5! with 31.exf5? e4! 32.fxe4? ?, Anand decisively seized the initiative. Topalov admitted he had overlooked Anand's strong reply 34...Qe8! Thus, Anand retained his World Champion title once again. ^ a b "Top 100 Players March 2010". FIDE. 1 March 2010. Retrieved 19 July 2010. ^ a b "Regulations" (PDF). Retrieved 21 December 2011. ^ "Regulations for the World Chess Championship Cycle 2007–2009". FIDE handbook. Retrieved 9 November 2008. ^ FIDE extends deadline for Topalov-Kamsky, Bulgarians protest, Chessbase, 10 April 2008, with a timeline of events. ^ Peter Rajcsanyi/FIDE (10 March 2009). "FIDE postpones Anand-Topalov WCh match". Chessbase. Retrieved 24 December 2016. ^ "The World Chess Championship to be played in 2010". 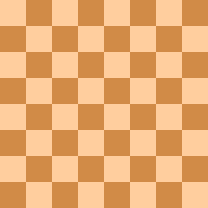 Chessdom. 10 March 2009. Retrieved 24 December 2016. ^ "Regulations Of 2010 World Championship Match". Retrieved 24 April 2010. ^ Matthew Day (23 April 2010). "Chess players get silent treatment in £1.7m tournament". The Daily Telegraph. UK. Retrieved 26 April 2010. ^ "Interview Vishy Anand 2010". YouTube. 25 April 2010. Retrieved 21 December 2011. ^ "WCh G12: Anand beats Topalov, retains world title". ChessVibes. Retrieved 21 December 2011. ^ "Chess Database Community". Chessgames.com. Retrieved 21 December 2011. ^ "Chess News – A volcanic trip – with the Lord of the Rings". ChessBase.com. 21 April 2010. Retrieved 21 December 2011. ^ "Anand v Topalov 1 Day Postponement". Chess.com. Retrieved 21 December 2011. ^ "Anand–Topalov – FIDE World Chess Championship 2010 (Section "Schedule")". Anand-topalov.com. 24 March 2010. Retrieved 21 December 2011. ^ Mark Crowther (25 April 2010). "Anand – Topalov World Championship Game 2". The Week in Chess. Retrieved 26 April 2010. ^ "World Chess Championship – Game Three". ChessBase.com. 27 April 2010. Retrieved 11 May 2010. ^ "No handshake in Anand – Topalov game 3 (updated)". Chessdom. Retrieved 28 April 2010. ^ Левон Аронян: "Сейчас больше тренируюсь" (in Russian). Yerkramas.org. 16 May 2010. Retrieved 18 May 2010. ^ "Anand wins Yearbook Novelty award of 2010". ChessVibes. Retrieved 21 December 2011. ^ "World Chess Championship – Game four". ChessBase.com. 28 April 2010. Retrieved 11 May 2010. ^ a b "Sofia R5: Another Slav, another draw". ChessBase. 30 April 2010. Retrieved 1 May 2010. ^ Crowther, Mark (1 May 2010). "Anand – Topalov World Championship Game 5". The Week in Chess. Retrieved 1 May 2010. ^ "Draw, Anand Leads 3.5–2.5 at Halftime". ChessBase. 1 May 2010. Retrieved 11 May 2010. ^ "A Nerve-Shattering, Blood-Curdling Draw". ChessBase. 3 May 2010. Retrieved 12 May 2010. ^ Crowther, Mark (4 May 2010). "Anand – Topalov World Championship Game 8". The Week in Chess. Retrieved 4 May 2010. ^ "Anand – Topalov World Championship Game 8". ChessBase. 4 May 2010. Retrieved 4 May 2010. ^ "Anand Misses Multiple Wins, Draw in 83". ChessBase. 6 May 2010. Retrieved 6 May 2010. ^ "Topalov Presses, Anand Holds". ChessBase.com. 7 May 2010. Retrieved 7 May 2010. ^ "Giri on Game 11". ChessBase.com. 9 May 2010. Retrieved 10 May 2010. ^ "FOCUS Information Agency". Focus-fen.net. Retrieved 21 December 2011. ^ "Press conference 12 – Anand-Topalov – FIDE World Chess Championship 2010". Anand-Topalov. 24 March 2010. Retrieved 21 December 2011. This page was last edited on 27 November 2018, at 06:23 (UTC).